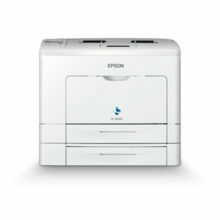 Epson’s first monochrome integrated ink tank system printer, with Ethernet connectivity, for ultra-low-cost office printing. 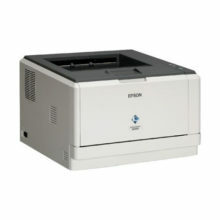 The Epson WorkForce M100 is a single-function monochrome integrated ink tank system printer with Ethernet connectivity. This continuous ink system is ideal for home office and small office users, who are looking to cut their printing costs, and comes with two Epson genuine ink bottles – one starter bottle and one standard 140ml bottle. Standard ink bottles offer a page yield of 6,000 pages. 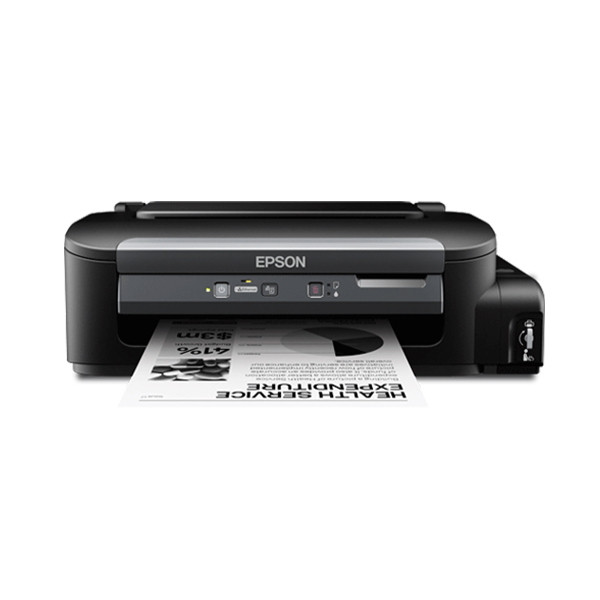 Epson’s fast-drying genuine pigment ink ensures business documents are water, smudge and fade resistant, while Micro Piezo technology offers Epson-quality document printing. In addition, a 12-month (or 50,000-page) warranty, and additional service support, provide peace of mind and help if you need it. The Epson WorkForce M100 is network-ready for sharing across small workgroups, but can also be used on individual user desktops thanks to its compact size. Fast print speeds of up to 15ppm also help boost office productivity, so you don’t have to wait around for prints. In addition, you can produce a variety of additional materials, such as headed paper, business cards and envelopes. 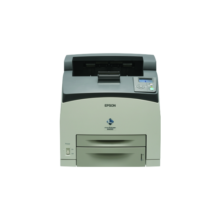 The Epson WorkForce M100 has a small footprint that easily complements any work environment it is in. And thanks to its quick start-up and low energy usage, this ENERGY STAR-qualified printer is ideal for any energy-efficient office.